Lenovo S720 smartphone was released back in 2013, January. If you require drivers for your device to connect it to computer or flashing firmware, then here we are providing official drivers for Lenovo S720. Lenovo S720 comes with 4 GB internal memory that can be expanded to 32 GB via micro-SD card. The phone is equipped with dual-core 1.0 GHz cortex-A9 processor with 512 MB RAM. It 4.5 inches display with a resolution of 540×960 pixels. The type of display is IPS LCD capacitive touchscreen. Regarding the camera, It offers 8MP Primary camera with LED flash including features and 1MP secondary camera. The sensors on the phone include Accelerometer and proximity. The version of software installed on it Android 4.0.4 (Ice cream sandwich). Lenovo S720 is powered by 2000 mAh battery. 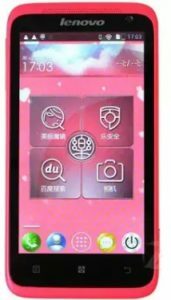 The phone comes in two colors which are Pink and White. The price of Lenovo S720 in India is 12,500.